It’s worth noting Laura cut her foot during her photoshoot. Her dance knew no “no.” It was only a matter of “yes.” She spoke like butter and moved like a dragon. Color seemed to engulf her. She jumped into the dance and never looked back, as in her element and unconcerned about the small glass littering the asphalt as a child. She truly didn’t believe anything could hinder her dance. I should begin with my grandparents, who founded a performing arts school in Los Angeles. It was called the Young Saints Performing Arts Foundation, and they gave training and scholarships to young people. It started in their backyard on Wellington Road, right in the heart of Los Angeles. They grew to have their own show and were even invited to the White House. My parents met in the Young Saints, so I was in the Young Saints energy from the get-go. I was pretty inspired not just by my grandparents, but also by my aunt, Lisa Roberts. She would take me to her classes and recording sessions; she was on The Carole Burnett Show and The Sonny and Cher Show. At the age of eight, I had a Screen Actors’ Guild card. I grew up understanding that what you love can be your career. When I was six, a bunch of neighborhood girls decided to enter a contest at a community dance center. The prize was a little trophy and six months’ worth of free dance lessons. The older girls took me along for fun. Two weeks before that, my parents had taken me to see Tina Turner. When it was my turn, I jumped up and reenacted everything I remembered from the Tina Turner concert. I won first place. That’s how I started dancing. From there, I went on to study under R’Wanda Lewis for a number of years. When I reached the age of 15, I left my dance training in order to be a normal high schooler. I got involved in musical theater in the afterschool program. I discovered there was a lot of racism; we couldn’t get the major parts in the musicals because of typecasting. But I learned to advocate. We started an afterschool program doing a multi-ethnic The Wiz and other works. I went to Mills College, which is how I ended up in the Bay Area, and afterward was accepted into Dimensions Dance Theater. The director, Deborah Vaughan, became my mother-sister-friend. I connected to the blending of modern and jazz styles with African diasporic dance. I’ve been dancing for Dimensions since 1986; it’s been my dance home for 30 years. What I learned from Deborah is, there’s no such thing as being a leader if you’re not nurturing and supporting other voices. She encouraged me to explore my own choreographic voice, and also pushed me to present others. 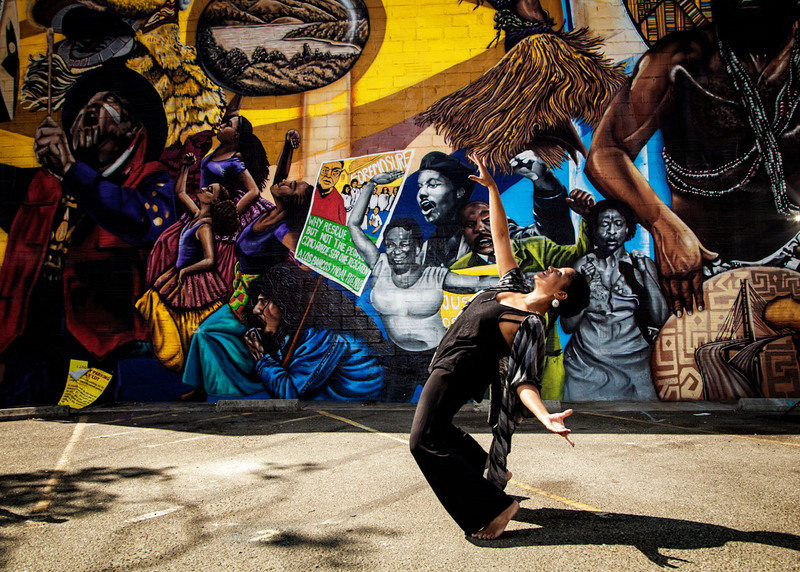 Her company was part of Black Choreographers: Moving Toward the 21st Century, the brainchild of Dr. Halifu Osumare. In 2005, I decided to partner with a friend of mine, Kendra Kimbrough Barnes, and produce The Black Choreographers Festival: Here and Now. We’ve been doing it over 10 years, and it wouldn’t have been possible without Dr. Halifu and Deborah giving me the support to have a vision, make it happen and find sustainable ways to bring it into the community. I teach at Cal State East Bay and the Athenian School. When I decide to take class for myself, I often take rhythm tap. In addition to dancing for Deborah, in recent years I’ve particularly loved working with Anne Bluethenthal and Robert Moses. This past fall, I was asked to do a project with Jo Kreiter. It was the first time I’d taken on aerial dance. I did the highest solo I’d ever performed, at 70 feet. How have the motivations for why you dance evolved over time? Dance is what I love doing most in the world. I just have a sincere passion for it. I like being involved in the creative process and being a vessel for an artistic vision. It’s important to me to do work that has an impact and to be the type of performer who affects people. The incredible people dance has brought into my life are invaluable; the friendships and connections are something I would not have guessed would resonate so much. It all boils down to the sheer joy I have doing what I do: joy in the challenge, joy in the aches and pains. If it’s not for the joy, what’s the point? It’s not for the money, and as much as I love the opportunities and people, those come and go. Except for the trophy I got when I was six, it’s not about the trophies. I could give a damn about recognition. 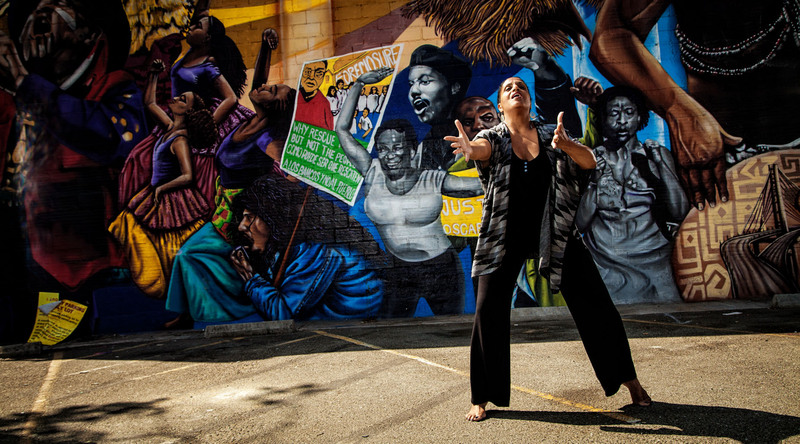 With The Black Choreographers Festival, it’s about the collective of artists, not me. The thing has to come before the person. I don’t know if I personally have a legacy. What I have is what’s come before me and what I’ve been able to create and be a part of in the moment. I don’t know how important what I leave behind is. What’s really important are the folks who will be there in the future. I see myself connected in a web of amazing experiences rather than being in the center of something. 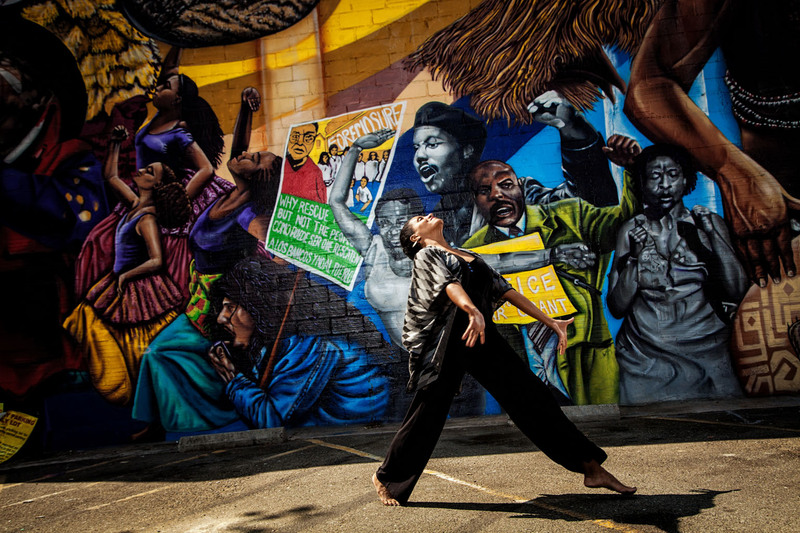 Even The Black Choreographers Festival is the expanded legacy of someone else. I feel the empowerment of standing on shoulders. I don’t want people moving out of the Bay Area because they can’t dance or have a career here. I want to help African American dancers and choreographers stay and bring their art to the stage without being marginalized. If I can have any small part of that future, that would be awesome. It remains to be seen, though, because the shifts are small. Access is still hard. It’s a highly political point. Is there a circumstance that would cause you to stop dancing? Nope, no and absolutely hell no. Right now I’m still hanging with the 20-somethings. I do step back on movements that might be extremely painful later, but I’m accessing other ways to dance. I’ll literally have to drop to stop, and then I’ll drop it like it’s hot. What advice would you give to a younger generation of dancers? Being fearless is not an overstatement. You have to go for what scares you. At times, I’ve failed miserably, and other times I’ve crossed the threshold and had a brilliant experience. Both are important, but risk-taking is integral to get anywhere. Laura Elaine Ellis began dancing in Los Angeles with the R’Wanda Lewis Afro-American Dance Company and the Young Saints Performing Arts Academy, a school founded by her grandparents Evelyn Freeman and Tommy Roberts. Laura attended Mills College and was a founding member of the Mills Repertory Company and LAZARUS/Dance. She currently tours nationally and internationally with Dimensions Dance Theater, directed by Deborah Brooks Vaughan. 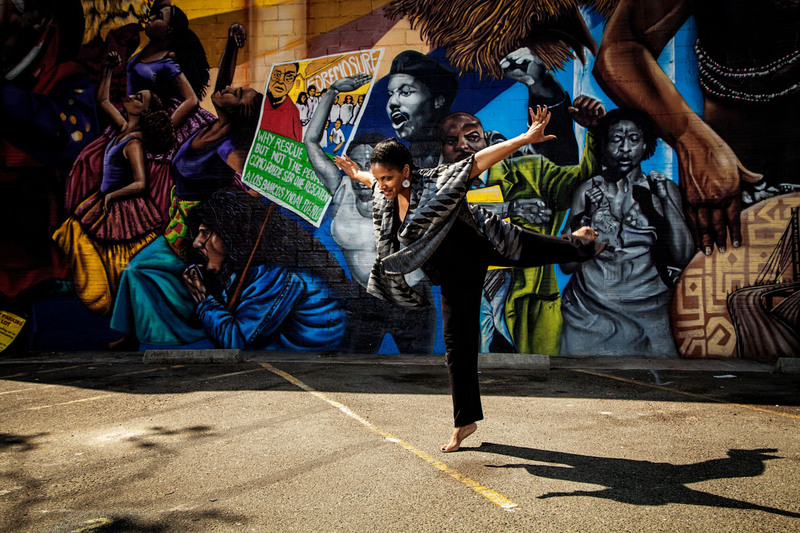 Laura also currently co-produces The Black Choreographers Festival: Here and Now.